Roses has an amazing Australian heritage, but it was losing relevance for modern consumers. Competitors had increased their gift worthiness through product innovation and Roses had been left behind, being seen as less special and a bit “Daggy”. 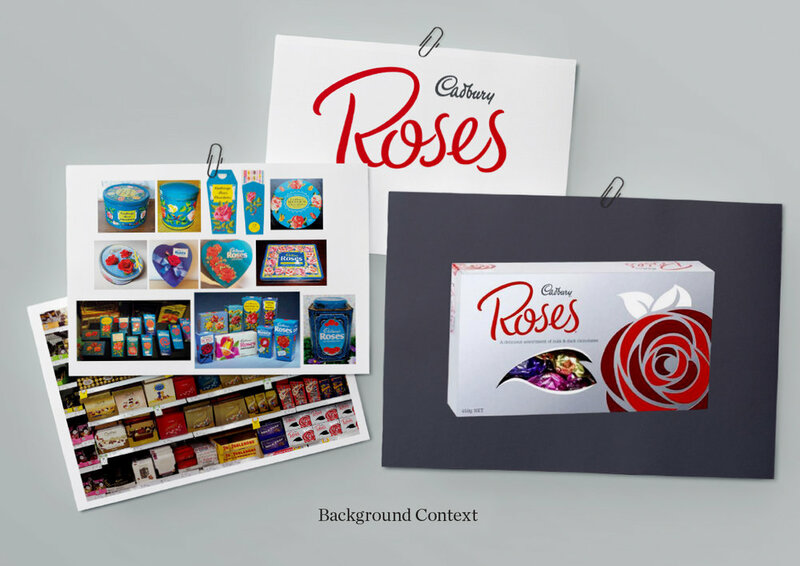 An aging Australian population meant that people were still buying Roses, but the brand needed to prepare to also be relevant to the next generation. To make someone feel special and appreciated a gift must be thoughtful and considered, so the packaging needed to reflect this. 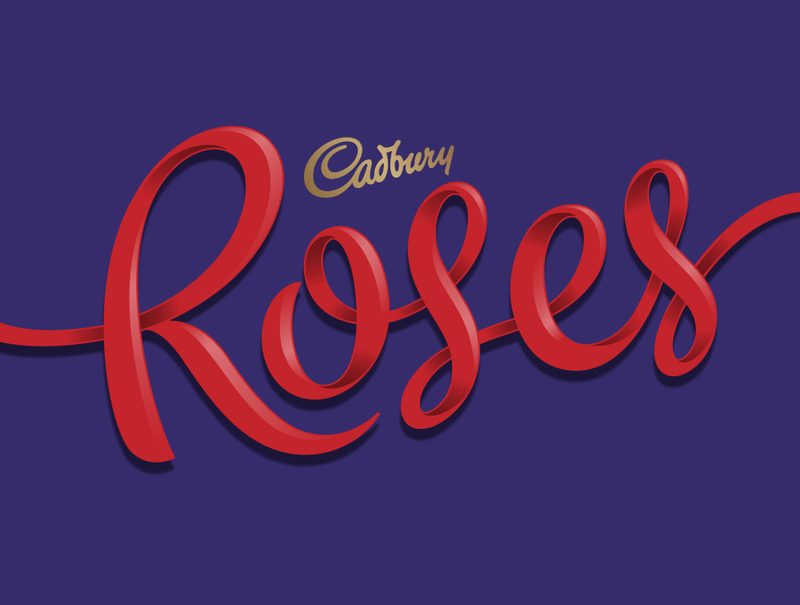 A stronger connection to the Cadbury masterbrand and its joyful personality also needed to play a part. The perfect gift is beautifully wrapped, crafted and finished to perfection. Our design reflects this ethos through a beautifully crafted ribbon and rose. A vibrant Cadbury Purple background and sprinkle of confetti brings a little joyfulness and links it to the trusted Cadbury masterbrand. Stunning imagery of the colourful, much loved, individual wrappers completes the picture, creating the perfect gift for the modern woman. I love you not. I love you. Brand Analysis & Competitive Audits, Brand Strategy, Brand Identity, Brand Visual Systems, Packaging Design, Limited Edition Strategy, Typography, Illustration, Brand Activation, POB, Asset Creation, Production Management, 3D Digital Renders.